Report says Saudi, Egyptian leaders discussed how to encourage Arab countries to develop relations with Israel as part of US peace plan. The leaders of Saudi Arabia and Egypt are working together to convince other Arab countries to take steps toward developing economic relations and make progress on the political front, in accordance with Israel’s demand as part of the US peace plan, according to a report this morning in the UK-based Arabic newspaper Al Araby Al Jadeed. 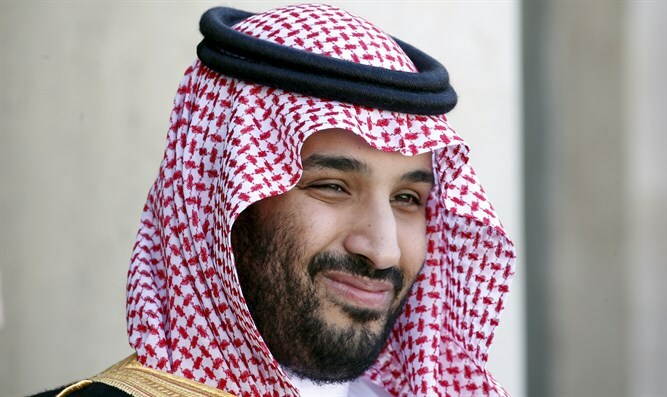 According to the report, extensive meetings held between Egyptian President Abdel Fattah el-Sisi and Saudi Crown Prince Mohammad Bin Salman during the latter’s visit to Cairo this week dealt largely with the US “Deal of the Century” peace plan. The two reportedly discussed how to bring an end to the Palestinian issue in a way that would lead to as many Arab countries as possible making a fresh start in relations with Israel. Among possibilities the two discussed was the Egyptian proposal to hold a summit including Egypt, Saudi Arabia, Jordan, and the Palestinian Authority. Sources cited in the report said that while PA Chairman Mahmoud Abbas has voiced opposition in the past to such a proposal out of fear that el-Sisi would force him to make concessions in a future peace agreement, the Saudi Crown Prince is likely to express enthusiasm for such a summit, which would strengthen his status amid the reports of his involvement in the murder of journalist Jamal Khashoggi. According to the report, Jordan also supports holding such a summit, and the United Arab Emirates would be interested to join it as well, so as to appear a significant player in the Palestinian issue.